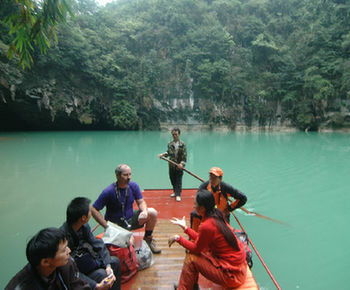 Starting from city of Nanning, you will explore Leye County and Fengshan County during this 14-day expedition. You will have chances to stay in a teeming ecological and cultural village; explore Dashiwei, Chuandong, Baidong and other tiankengs, underground chambers and Bailang subterranean river system. With the 2nd longest underground corridor in China (33km, still under explored), gorgeous Yuanyang Cave and wonderful scene in Sanmenhai scenic area, Fengshan County is another unforgettable place to visit.